Once-in-a-lifetime workshop in Boston on October 5th! This is a unique one-time only workshop combining a hands-on Invent To Learn workshop with a visit to the extraordinary Wonder of Learning Exhibition from Reggio Emilia, Italy. 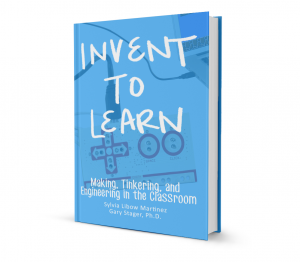 co-author of Invent To Learn: Making, Tinkering, and Engineering in the Classroom. Note the change of venue! The event takes place in two locations. $225 (US), including supplies, continental breakfast, hot lunch, beverages, afternoon snack. 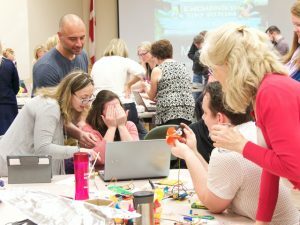 Join colleagues for a day of hard fun, creativity, and problem solving — where computing meets tinkering, design, and the best practices in early childhood education. 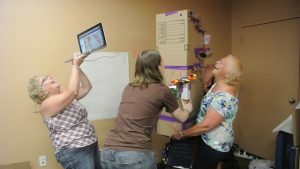 The workshop begins with the case for project-based learning, making, tinkering, and engineering. Next, we will discuss strategies for effective prompt setting. 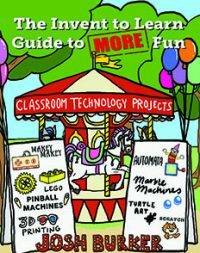 You will view examples of children engaged in complex problem solving with new game-changing technologies and identify lessons for your own classroom practice. 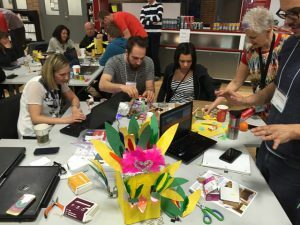 Powerful ideas from the Reggio Emilia Approach, breakthroughs in science education, and the global maker movement combine to create rich learning experiences. 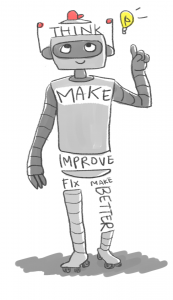 Most of all, you will learn by making! From 9 AM – 3 PM, you will be engaged in project development and delicious food, then we will travel via public transport (The T) to visit the remarkable Wonder of Learning Exhibition. We have arranged for you to explore the exhibition from 3:30 – 9 PM. 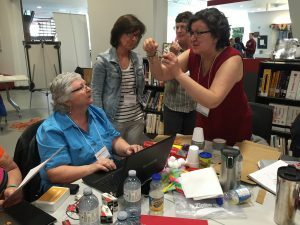 During the daylong workshop, there will be ample time to explore and discuss the exhibition and learn more about the Reggio-Emilia Approach in addition to making things with cutting-edge technology, craft supplies, and found materials. 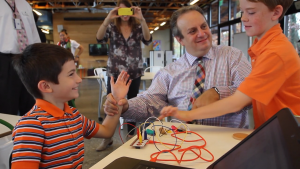 You will even get to “play” with the new Scratch 3.0 software and Hummingbird Bit robotics kit. Loris Malaguzzi, the philosopher behind the municipal preschools of Reggio Emilia taught the world that children construct knowledge and represent ideas in a hundred languages. Constructive technology adds yet another language of children to the learning environment. 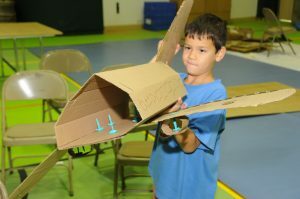 Fabrication with cardboard and found materials, wearable computing, LEGO, micro:bit microcontroller development boards, Humingbird robotics, littleBits, Circuit Stickers, MaKey MaKeys, conductive ink, robots, drones, plus computer programming in Turtle Art, Scratch, and SNAP! are all on the menu. Why should teachers of all grade levels and subject areas attend this workshop? Although the Reggio Emilia Approach is rooted in a half century of work with infants, toddlers, and preschoolers in a small Italian city, the profound, subtle, and complex lessons from their intensely learner-centered educational experiences are applicable to all educational settings. There is a universality to what “Reggio” teaches us about making learning visible, thinking about thinking, respect for the child, social knowledge construction, celebrating creativity, slowing down, play, aesthetics, and project-based learning. In other words, lessons from Reggio Emilia approach may enhance the teaching of any subject at any grade level. The Wonder of Learning Exhibition will take your breath away! Dr. Stager has led sold-out versions of this workshop five times in Los Angeles, Toronto, and NYC. The municipal preschools and infant/toddler centers of the small Italian city of of Reggio Emilia, are frequently referred to as “the best schools in the world.” The remarkable insights and expertise developed over fifty years of learner-centered, inquiry-based, hands-on learning with the youngest children provides practical wisdom for teaching learners of all ages. The “Reggio Approach” has been centered on learning-by-making for decades and provides a rich context for situating the maker movement in schools. “Reggio” and “the maker movement” are a marriage made in classrooms ready for the future. The Wonder of Learning Exhibition makes learning visible and provokes educators to consider the competence, creativity, and intellect of children. Dr. Stager is an expert in the “Reggio Emilia Approach,” and has visited this exhibition many times. During the workshop, he will prepare participants to more fully appreciate and understand the remarkable exhibition which closes within days of this workshop. Explore the exhibition web site. Bring a laptop and your imagination. We’ll supply the rest (craft materials, art supplies, construction elements). Cardboard boxes of any shape or size would be appreciated. Invention is the mother of learning! Dr. Stager’s work has earned a Ph.D. in Science and Mathematics Education and contributed to the winning of a Grammy Award. 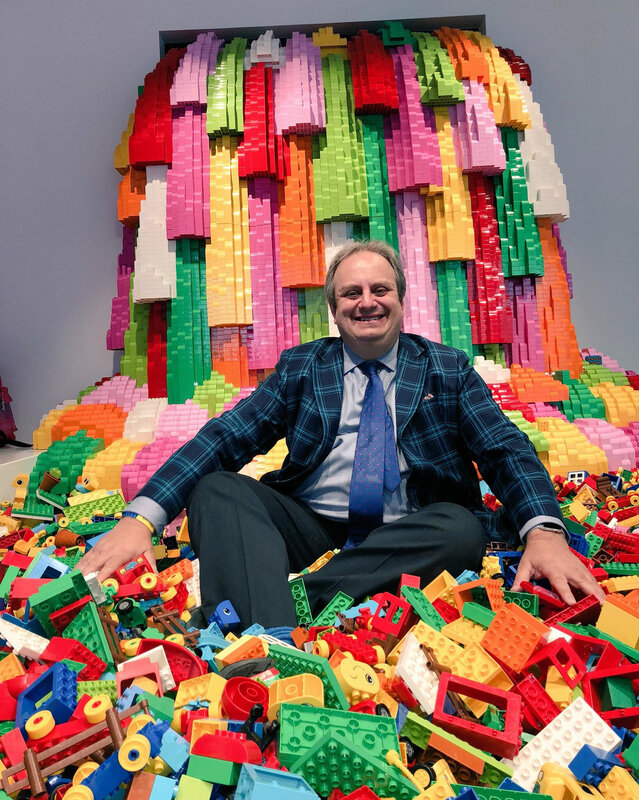 In addition to his many accomplishments, Gary Stager is a licensed preschool – eighth grade teacher, has made numerous visits to Reggio Emilia, and has worked closely with several of its leading educators. A good overview of the Reggio Emilia Approach may be found here. An introduction to the exhibition may be found here. 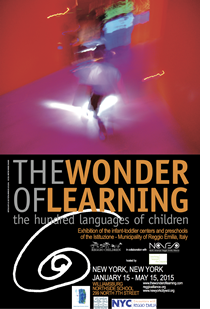 Purchase the exquisite Wonder of Learning exhibition companion book. Not available anywhere else. This workshop is offered by Constructing Modern Knowledge, LLC and unaffiliated with any organizations associated with the Wonder of Learning Exhibition. I missed this workshop. When will be the next one? Sorry you missed it! Please subscribe to the newsletter to receive updates on planned workshops.